Experience the history of the search and discovery of oil and gas in Roma, dating back to 1924. Settle back and relax under the outback skies as you are taken on a fascinating journey to meet the locals and learn of the entertaining trials and triumphs of early industry men and women in Roma. There a many features like the oil patch which includes the 1929 vintage steam powered Emsco drilling rig and a 1950’s diesel powered National T32 rig. The Emsco was brought to Roma by the Roma Oil Company, drilled four holes, and was abandoned on its last site in 1941. While, for safety reasons, climbing on the exhibits is generally not permitted, steps and safety rails have been built onto the floor of the Emsco rig to allow visitors to appreciate the size of the equipment. There is also a 30 minute night show using current technology and multimedia to tell the story of early life in the oil and gas industry in Australia. Outstanding tourist attraction in Roma. 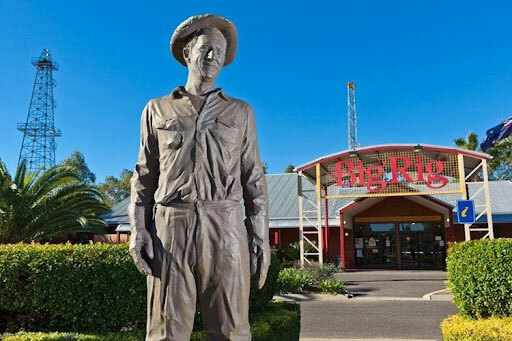 The Roma Saleyards is voted the #1 Things To Do In Roma on TripAdvisor. 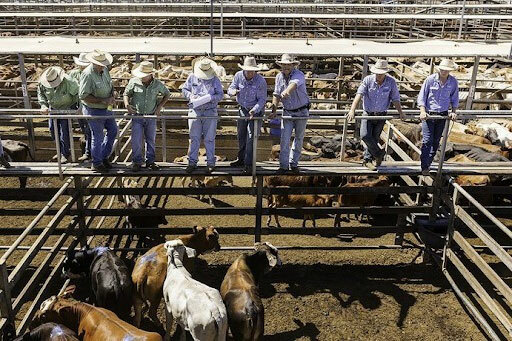 The saleyards are the largest in the Southern hemisphere, moving on average 5,000 head every Tuesday and Thursday. The volunteer guides are friendly, funny, and very knowledgeable of the history of the yards and the area. There is a free tour every Tuesday and Thursday starting at 9.30am where you can observe from an overhead walkway the cattle being sold in the pens below. Further along the walkway you can see where the cattle are weighed and an electronic board shows the details. 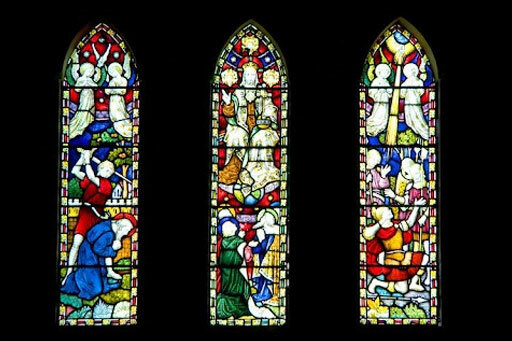 St Paul’s Anglican Church has a series of colourful stained glass and leadlight windows dating back to 1876 and is well worth a visit. Guided tours operate on Tuesdays and Thursdays from 9am during the tourist season or by appointment. Roma Explorers Inn is one of the closest Roma motels to this historic and magnificent Church. Enjoy our outback hospitality. 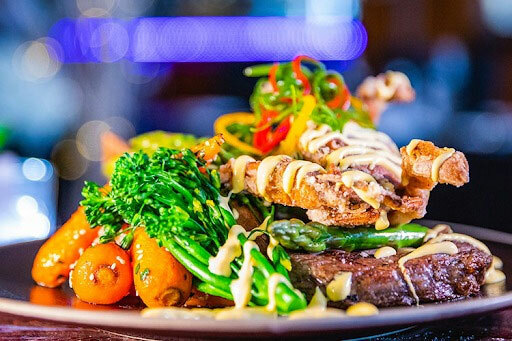 You can sit back, relax and enjoy the classic outback feast from Roma Explorers Inn fine dining restaurant. The restaurant is open seven days a week for guests or those visiting the area and focuses on providing the highest quality food and fantastic service. Our menu offers the usual country fare including traditional pies and beef rissoles, along with pork belly, lamb shoulder, salmon and many other exquisite dishes. The Roma Turf Club hosts the Roma Picnic Races each year with beautiful grounds surrounding the sand racetrack and all amenities from bar and food, to an air-conditioned Members Bar and oncourse TAB and Eftpos. There’s also plenty of green space for kids to run around or spread out a picnic rug. It’s an affair where the ladies dress to impress in sophisticated race-day attire for the fashion on the fields, and the men honour the coat and tie standard. 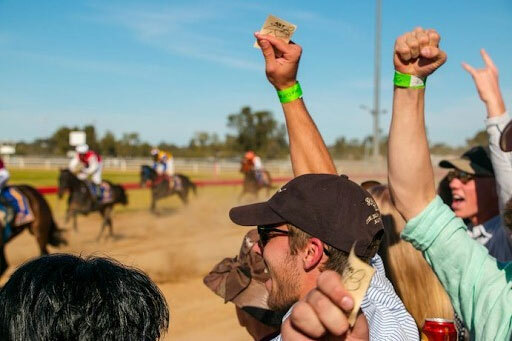 So if you love a good picnic and get giddy about the races, then stay at the best Roma motel, Roma Explorers Inn, guaranteed to make your time at the Roma Picnic Races memorable. Roma Explorers Inn offers guests so much more than other Roma motels. It is conveniently located in a close proximity to many Roma attractions. It is a leading Roma airport Motel, offering a free courtesy bus for guests on request as well as free onsite parking, meaning that coming to stay at Roma Explorers Inn couldn’t be easier.